Did you know that Ukraine is the largest country on European continent? Occupied area of 603,628 km2 and is home for over 46 million people! The capital is the most beautiful city – Kiev. 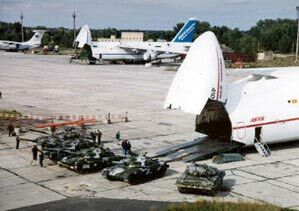 Did you know that the biggest and the most powerful planes in the world are produced in Ukraine? 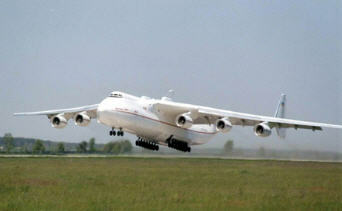 With a maximum gross weight of 640 tones (1,411,000 lb), the An-225 is the world's heaviest aircraft. Did you know that Ukraine holds 9th position in the global ranking of international education in terms of number of International students? More than 50 000 students from 120 countries come to study in Ukraine. 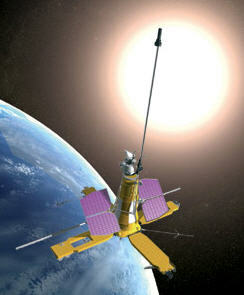 Did you know that Ukraine is one of 5 countries - leaders in space research industry? The enterprises of a space industry are developing and producing modern launch vehicles, spacecraft engines and control system, some of which have no counterparts. Did you know that Ukraine owns a 1/4 part of black earth soil of the world? Ukraine has extremely fertile black soils in central and southern parts, totaling more than half of the territory. Did you know that Ukraine is one of the countries which founded UNO? Ukrainian representatives participated in the drafting of the United Nation Statute adopted in 1945 thus qualifying as one of 51 countries to sign up as founders of the UN. Did you know that Ukrainian constitution is the oldest in the world? 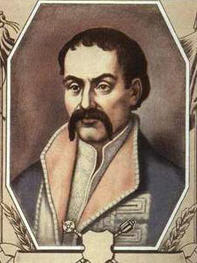 In 1710 the Constitution was written by Hetman Pylyp Orlyk and established a democratically elected Cossack parliament called the General Council. The Constitution was unique for its historic period, and was one of the first state constitutions in Europe. Did you know that geographical center of Europe is in Ukraine? 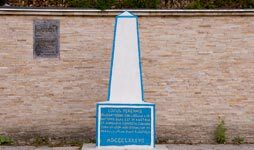 The stone representing historical symbol, as measured in 1887 by geographers from the Austro-Hungarian Empire is located at 48P'B°30'N 23P'B°23'E and marks the geographic centre of Europe. The list goes on and on………………………………. We sincerely hope that by exploring our site you will find things worth your while!